Individual stocks in this space have rallied even higher. People who were waiting for the elections results have been left on the sidelines. It's election time and PSU stocks are back in vogue. PSU Stocks - Perpetual Value Traps? A better alternative is to look at quality companies which are not restricted by regulatory hurdles. Equitymaster requests your view! Post a comment on "2 Things You Need to Do in This Market Rally". Click here! 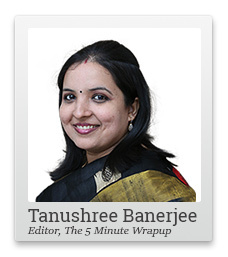 1 Responses to "2 Things You Need to Do in This Market Rally"
As always M/s Tanushree has provided two excellent points to ponder. The ability to remain holding good stocks . It is very difficult in the temptation to book whatever gains possible. The next mistake after that is to move to cheaper priced stocks. Being warned of the latter is a blessing.